Snap’s Spectacles never quite got off the ground, but it looks like that isn’t deterring the company from trying again. 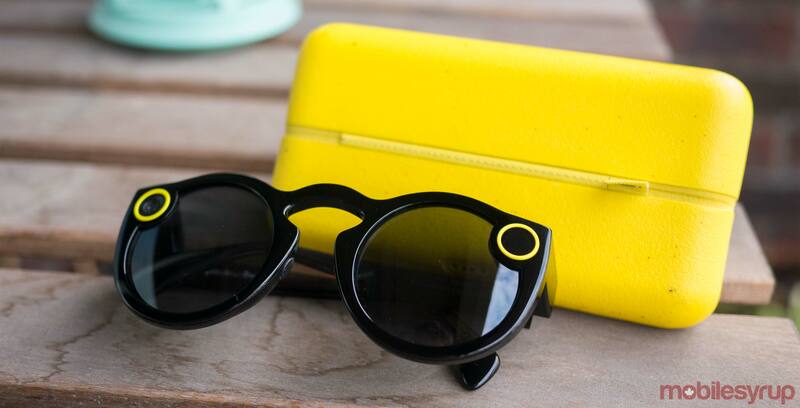 According to a report from Alex Heath of Cheddar, Snap is at work on two new versions of Spectacles, after downplaying the device’s importance in its recent earning calls. Version 2 of Spectacles is currently being manufactured, reports Heath, and will ship by fall of this year. It will apparently be an iterative update, offering only new colours and performance improvements. Version 3, however, has a rounded, Harry Potter-esque aesthetic, will be made of aluminum and cost around $300 USD. Cheddar’s prototype shows round gray glasses with two camera situated in either side where the front of the glasses meet the arms. Heath says the two cameras allow for “depth” 3D-like videos and carry a GPS chip. The glasses are expected to ship by the end of 2019, according to Cheddar’s report. Further, Heath says Snap has been in talks with glasses brands like Luxottica and Warby Parker about licensing cameras to use on their glasses, but the talks haven’t progressed far. There won’t be any AR capabilities for these new versions, says Heath, just more immersive circular video. If that doesn’t sound promising, he also notes Snap is ordering far less inventory this time — likely a good idea considering the $40 million loss it took on the Spectacles Version 1.